Soon, I return to the Polar Vortex. So I am filling myself with summer. I love South African fruit. The country has many climates and can grow just about anything. The fruit is seasonal, it tastes like the sun, and it has not traveled that far. 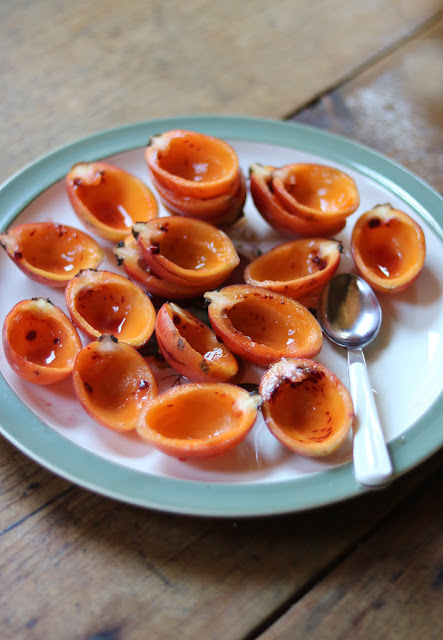 Tamarillo, above - is also known as tree tomato (my mom's tree died a few years ago; they are short-lived). I found them at the local Constantia Spar franchise, the Alphen Kwikspar, whose in-season fruit selection is always very good. 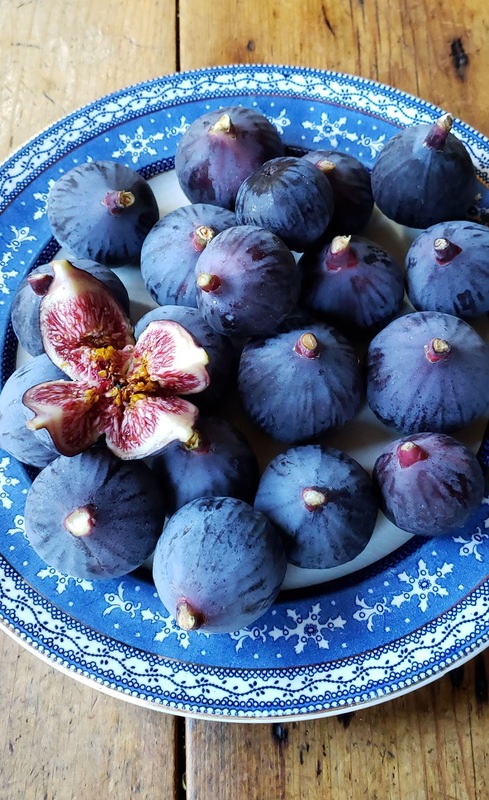 I am thrilled that figs are just coming into season, and I have been inhaling them. These are from Woolworths. 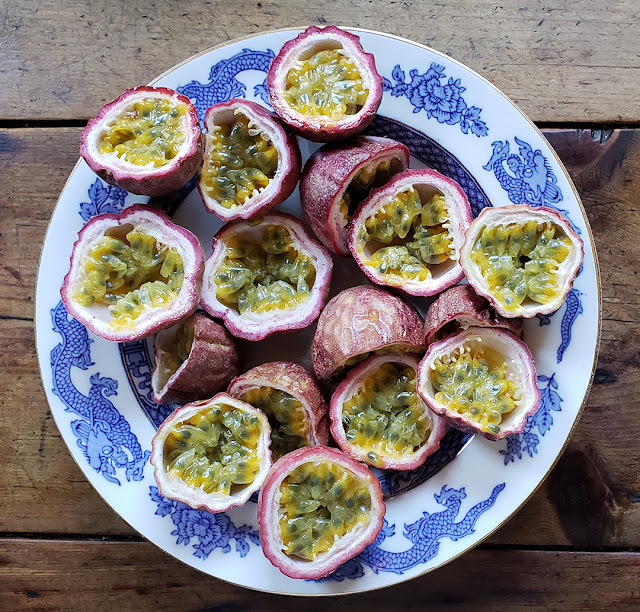 And of course, the grenadillas (I will call them passion fruit again when I am back in Brooklyn). The ones above are also from the Alphen. They translated to $4.50/lb. About 12 - 13 fat and juicy fruits are in a pound. In New York they are a dollar each. If you can find them. And today we found giant grenadilla's at Boschendal for half that price (straight from the vine). So I am stuffing myself. Soon I may grow wings and hang upside down. When apples are getting waxy and tasteless and oranges are drying out and the good stuff is months away, i think this is cruel and unusual punishment! 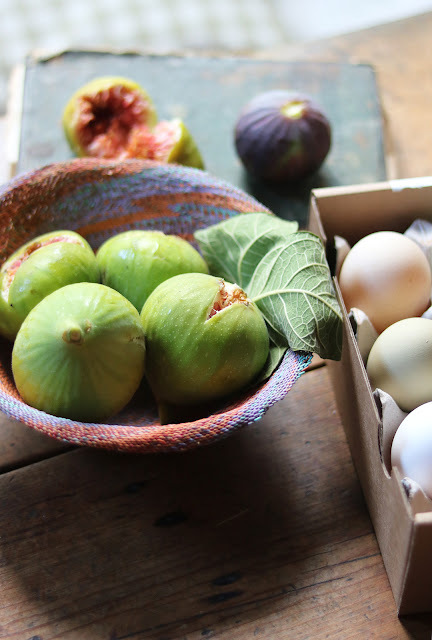 Figs! Never heard of tree tomatoes, but they look good, too! Best to your Mother. The vortex and I can't wait to see you! mmmm! Yummy! 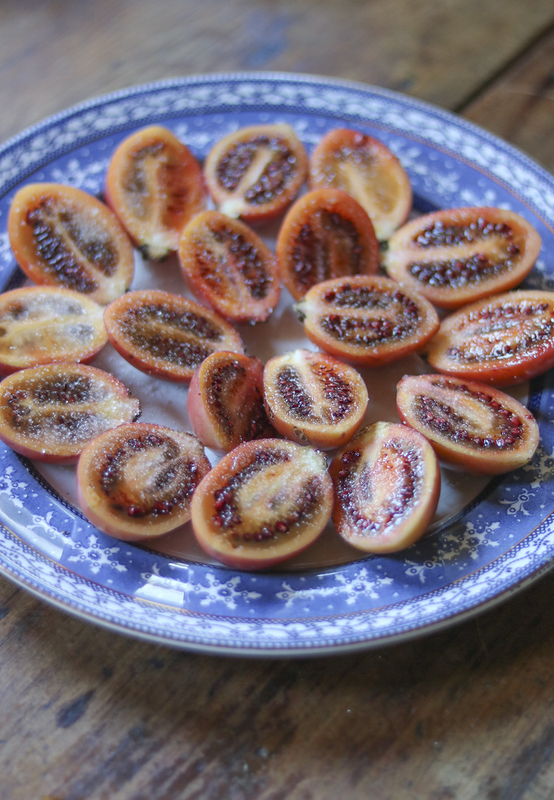 I love the bloom on those figs!By the time they get to our shops it's been rubbed off. And my luck with tree tomatoes here has been awful.The one I did manage to keep alive was smashed by a huge palm frond during a storm.For the record, our prices are akin to NY. Only a true Capetonian will refer to the Spar as “the Alphen”! Oh man - that fruit looks great. Now you just need a nice salad to go along with them.